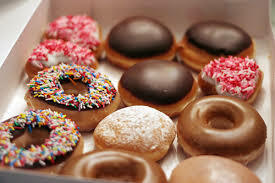 Hot Krispy Kremes Calling His Name! I was driving home the day after Christmas, up Highway 45 outside Tupelo, where the speed limit is either 65 or 70, I don’t know, but I was zipping along with my cruise at about 72 in the left lane, passing slower traffic in the right. I noticed in my rearview that a car was coming up behind me very fast, a dark gray redneck car, and I thought he was going to hit me, so I quickly mashed the accelerator and put on my flashers to alert him—hey, I’m here!—and I am aware and will move over as soon as I can but look around and see that I cannot move over right now. But apparently I was supposed to change lanes and knock the other car off the road in order to get the hell out of his way because he came closer and rode six inches off my bumper. He pushed me up to 80. I reached for my phone to call 9-1-1 to report him—because I’m a tattletale at heart—but could not punch buttons and was afraid to take my hand off the wheel and my eye off the road. I could not change lanes going that speed between two slow cars—no way!—so I had to keep going for another few seconds until it was clear and safe to move over. As he zoomed past me, I looked over and pointed toward him out my side window and called him a name that starts with an A, but he wasn’t looking. Maybe it’s a good thing that he wasn’t looking because he was a Mississippi Highway patrolman. I really don’t care who he was. He had no right to be driving that fast without lights and siren and no business pushing women up to 80 and making their hearts beat fast. 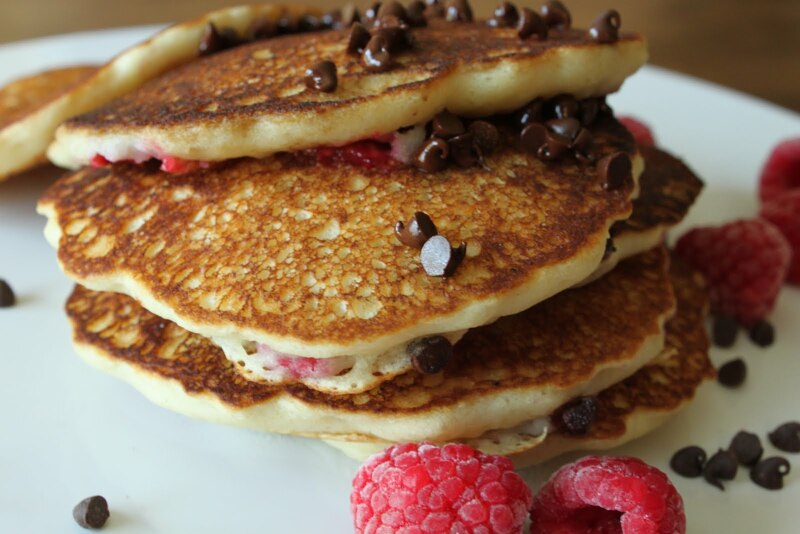 Chocolate chip pancakes. It’s all I can think of. I want some traditions. I want something memorable. Chocolate chip pancakes at Christmas would make a good tradition. Don’t you think? We’ve got a start—we had them last year for the holiday. Looking back, I didn’t think I grew up with any traditions. But on closer look, that’s not true. Our traditions weren’t anything we planned or made happen or cooked. They were about the people. My dad, for example. Three hundred sixty-four days out of the year, Dad was quiet and reserved, and you didn’t even know he was around. Christmas, he was a jack-in-the-box. He popped to life with his arms outstretched and a smile from ear to ear. He was the one waiting for my sister and me under the Christmas tree. Mama was there, too, but in the background. Dad was loud and happy pointing to the loot: “Look a here. Look what Santa Claus brought!” He only got oranges and firecrackers when he was a child. He stayed with us under the tree and played with our toys. 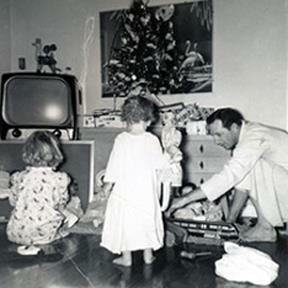 A favorite family snapshot is Dad, Judi, and me under the tree with “our” toys. He did the same with his grandchildren. He was the first to play with a toy pool table or push a bike around the living room, or pick up the Millennium Falcon. A favorite “grandpa” snapshot is Dad going first through a Winnie the Pooh segmented tunnel with toddlers watching. As my children were growing up, we didn’t have memorable traditions. We’d go to Christmas Eve service at church, we’d open one gift on Christmas Eve, and we’d have the grandparents every other year. Life brought change—children grew up, divorce, death, more death. Traditions went by the wayside. Now I want new ones. I want to be with my grandchildren every year. I want to read Twas the Night Before Christmas. I want ham and Big Cherry Salad. I want to add a Barbie a year to the Barbie Christmas tree. I want chocolate chip pancakes. I want my grandchildren to remember chocolate chip pancakes. I want my grandchildren to remember me. It’s almost Christmas, and I’m on a mission to see how many dolls I can buy and how much fun I can think of for little girls (granddaughters) and dolls to have together. Full of imagination, I ran into Goodwill to see if anyone, by chance, had dropped off a real silver coffee service, with tray, coffee pot, teapot, sugar bowl, and creamer, the real deal in silver that needs to be polished. Jillie loves tea parties, and I wanted her to have the real thing. She and I have used mine before in play. Instead, pushed back up under a bottom shelf, I found a real china 22-piece tea set in the original box, all packed in Styrofoam. One cup was missing. The rest was in perfect shape. $7.99. Jillie is four, too young for glass, but I couldn’t resist. 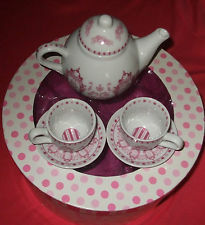 It will be perfect for a tea party with the big doll I bought her for Christmas. But Jillie doesn’t have a table in her room for hosting parties on. That got me to thinking about my own childhood. My mama went to a used furniture store and bought a wooden kitchen table, cut the legs off to child-size, painted it a shiny red, got two old chairs from the school where she taught, and painted them red, too. 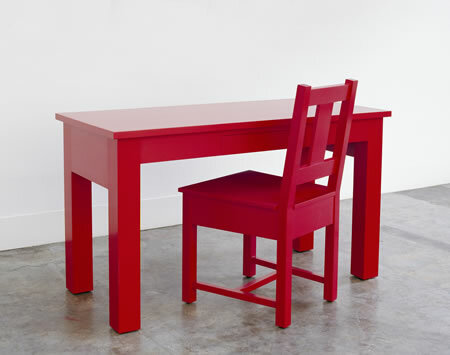 My sister and I had a big red art-and-game table in our frilly pastel blue room. That red table is the most memorable thing from my early days. I designed paper doll dresses on it—drew them to fit the paper doll’s body, made tabs to clip over the shoulders, colored the dress with special buttons and bows and effects, then cut it out. I drew pictures, painted pictures, colored pictures. I shaped clay. I played Monopoly and Go Fishing. I dressed my dolls and made up stories about them and had my own tea parties. 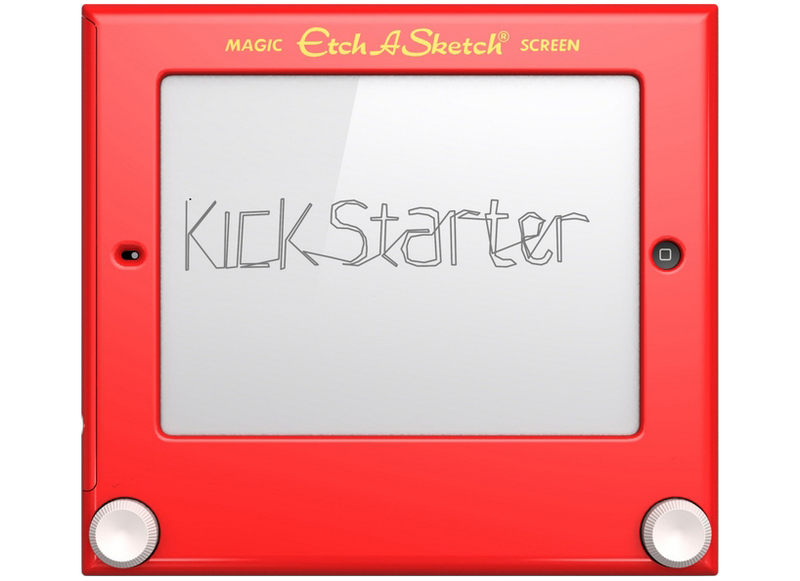 Just how much creativity was born on that shiny red table? I spent hours there in my own little world making up things to do and creating and completing projects. What better education is there? I didn’t have to be entertained by TV or DVD or I-device with plugs in my ears, mesmerized by technology, my mind shut down. I learned to build my own world and to entertain myself. . .
On the shiny red table.